Today’s garage doors come in a variety of styles and features (included added security). 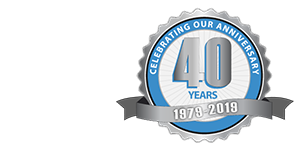 Finding the right garage door for your home, or even maintaining the one you have, can be challenging. 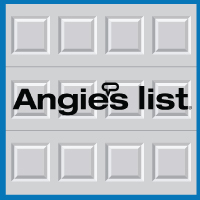 Angie’s List provides a quick guide to garage doors including: features of garage doors, types of garage openers, DIY/professional considerations, and maintenance tips. You’ll most commonly find rolling, sectional garage doors on the market. Single-section doors are also available, but you need to consider with these doors require clearance space in front of the door for opening and closing, which is not practical in areas that get a lot of ice and snow. The range of styles is broad. Wood, steel, aluminum and fiberglass doors are available and can be customized to coordinate with the style of your home. As well, you can choose different window sizes and shapes, different wood stains and grains. Keep in mind, that with each additional feature, the price of the door will go up. Insulation is available for most all styles of garage doors. Your options are single-panel doors with the insulation applied to the inside face. Having a second face to the door provides a maximum R-value because the insulation can be sandwiched between the panels. If you have an attached garage or a garage where you spend a lot of time (like a workshop area), insulation can be an essential and important feature. Chain-drive. This type of opener uses a chain to pull the door open or closed. It’s the most popular and most affordable, with prices ranging from $100 to $170. Screw-drive. With a slow-moving design, this type uses a long threaded bar to open the door. It’s prices range from $150 to $200. Belt-drive. Considered the quietest, this opener uses rubber belts to open and close the door. It’s the most expensive at $200 and up. Garage doors can be an easy challenge for experienced do-it-yourselfers. Internet resources, as well as instructions from the manufacture, make installation an easy, step-by-step process. However, doors and openers with more advanced features can make installation more complicated. If installing a garage door is over your head, contact Blue Sky Builders if you are in the Chicagoland area, or consult Angie’s List for other homeowners’ experiences with local companies in your area. Metal doors are far more resistant to dings and the elements than wood doors, but any door will deteriorate if not properly cared for. Inspect your garage door at least once a year for damage that might affect the finish or lead to rust. Wood doors should be refinished/resealed at least every two years. Protect any type of garage door from water – especially runoff and splash back from the roof eaves. Direct water away from the door, including proper drainage in front of the lower section of the door. Keep kids from using the door as a backstop. Wash your garage door regularly, with water and a mild detergent. Use car wax on metal doors to protect the finish. Check that the weather stripping along the bottom is in good condition. If it is cracked, it can easily be slid off and replaced. Lubricate tracks, hinges, rollers and springs with a light household oil – don’t use petroleum-based lubricants. Apply and wipe away the extra. Openers do not require extra lubricant. Test the safety-reversing sensor once a month. Always refer to the owner’s manual for your door and opener. Garage door companies do offer annual maintenance plans, and will come out, check your door, make sure it is lubricated and in good working order. An investment in a garage door can range from a few hundred dollars for a new opener, to a few thousand dollars for a custom-designed door. While it’s not a feature of your home you think much about, it is an important part of your home. And, if it’s not well maintained, it can lead to unexpected and expensive repairs that have to be dealt with right away.